​Each year, approximately 300 million metric tons of paper and paperboard are manufactured globally by somewhere in the neighbourhood of 10,000 mills. The industry also happens to be one of the few that all other sectors rely upon in some form or another. The demand for quality products is high, changes are continually being initiated by various regulatory agencies, and procedural advancements are always being made. It can be difficult for professionals to keep track of all these developments on top of running a successful plant. However, this site has gathered all the important paper & pulp manufacturing news in one place, to make it easier on managers, engineers, and other plant decision-makers to remain in-the-know. 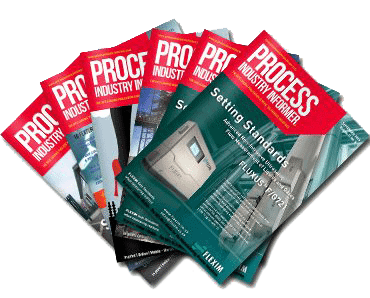 ​Receive information on the latest regulatory changes in clear language and read the latest Paper & Pulp Processing News. Environmental and safety guidelines are continuously revised. Pertinent changes are detailed in this paper industry magazine, and are then broken down to make it clear how each alteration impacts individual plants. Mill news from around the globe is also highlighted, to give industry workers a head’s up on changes that may come. Hear about advancements that can improve daily operations and safety. Having the right machinery and products is paramount in maintaining a safe environment, in creating a high-quality product, and also in the overall efficiency of a facility. As a cutting-edge paper industry news outlet, the pages of this site will be packed with details and specs of the most-recent technological innovations, to give leaders the opportunity to perform a quick cost-benefit analysis for potential integrations. Advancements in processing techniques that can give plants an edge will also be explored, providing readers with the knowledge needed to make educated decisions about procedures. Read about the topics that matter most. One paper & pulp manufacturing news service & magazine provides all the information industry professionals need. Decision-makers in mills and pulp processing plants must be able to draw on an immense knowledge base in order to run successful and efficient facilities. This site puts that knowledge in a no-nonsense format, and offers the latest news for a well-rounded balance. Additional content will fill the archives as time passes, providing an online library of easily-searched solutions. Take the time to bookmark it now, to make sure the data remains a click away.